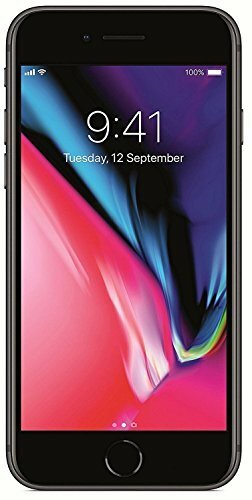 What is the best but cheap Metro PCS phones and plans? 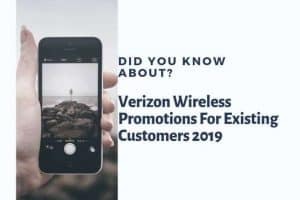 If you are looking for affordable subscription plans for Metro PCS the very first thing that’s probably on your mind is the type of mobile phones that they carry. Metro PCS is known for its wide variety of mobile phone models ranging from level-entry phones or basic text and call only phones to mid-range smartphones mostly Android and iOS. So if a good mobile phone subscription and a level-entry model is your choice, then check out Metro PCS latest cell phone models for the year 2019. Metro PCS is proud to offer this basic smartphone that is easy to use, with good features and has a sleek and classy design. You will love the Samsung Galaxy S9, one of the tech giant’s entries to the MWC 2018 for ultra-sleek phones with great specs. The Galaxy S9 has a stunning 5.8 inch 18.5:9 570 PPI display that will make movies look more stunning no matter what the title is. You can also play mobile games with more gusto with the awesome, bright screen. You can take amazing photos too with this phone’s dual pixel cam with Super Slow-mo effects. You will be able to take excellent quality, professional-looking photos without any effort at all. This phone has an 8-core chip that clocked at 2.8 GHz + 1.7 GHz. With this powerful phone, you can multitask and work on various tasks at the same time. 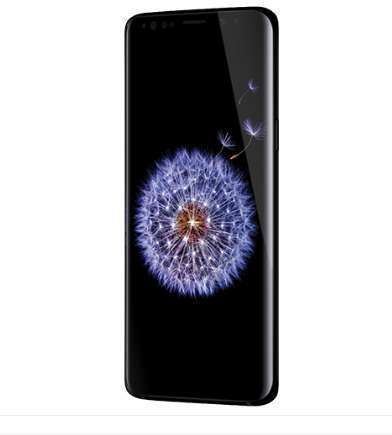 The Samsung Galaxy S9 has the cool “9” symbol on the back. The body made from stunning and sleek black metal with a thin body that can rival most popular smartphone models. This phone is available in coral blue, titanium gray, midnight black, and lilac purple. This phone is powered by Android 8 Oreo, the most updated and the most powerful Android software. This also lets you multitask or do two or more things at a time. 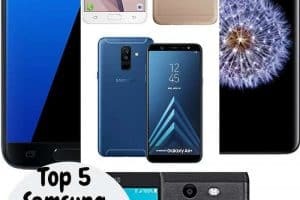 When it comes to Metro PCS plans for the Samsung Galaxy S9, you will have four to choose from. The first plan is the $30 2GB Plan which includes Mobile Hotspot under T-Mobile’s 4G LTE network. Under Metro PCS, you will only have to pay $729 upfront to get the Samsung Galaxy S9. This plan includes unlimited nationwide talk and text and 2GB of full-speed data. This speed is enough for one device that can be used for basic online activities like browsing, watching videos and using social media. Another Metro PCS plan where you can get the Samsung Galaxy S9 is the $40 10 GB Plan where you will only have to pay $729 upfront for the device. This plan includes Music Unlimited under the 4G LTE T-Mobile network. This comes with unlimited National Talk and Text and 10 GB full speed data perfect for high definition videos and games. The $50 Unlimited Plan also lets you get the Samsung Galaxy S9 for only $549 upfront. This plan has Google One and 5GB LTE Mobile Hotspot features under T-Mobile’s 4G LTE network. You’ll get unlimited talk and text and unlimited data. Finally, Metro PCS’ $60 Unlimited Plan also offers discounts on the Galaxy S9. You just need to pay $549 upfront and $60 monthly to get unlimited nationwide talk and text and unlimited data. Your plan includes Google One + Amazon Prime and 15GB LTE Mobile Hotspot under T-Mobile’s 4G LTE network. Enjoy taking photos at with iPhone X’s 7-megapixel TrueDepth selfie camera. Selfies will just be so easy now that you have a dedicated camera with new Face ID and stunning graphics. The iPhone X comes in glass and stainless steel which gives this fancy phone a fresh and clean design. You got here a 12-megapixel (wide-angle and telephoto cameras) with quad-LED True Tone Flash with Slow Sync. You can take true to life photos with stunning detail with this phone’s very powerful camera. One of the best reasons for using this camera is its ability to take smart selfie shots. It comes with a 7-megapixel selfie camera. Smile your biggest smile and show off your stunning looks even with low lighting because this has a powerful Retina Flash selfie flash. 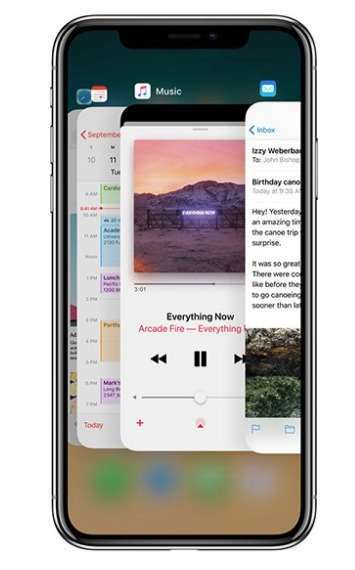 The iPhone X is at 5.8 inches with Super Retina HD features. You can enjoy a vivid screen to watch high definition movies, music videos or YouTube videos. You can also have fun playing games in lively colors with this device’s detailed and colorful screen. Metro PCS plans offer discounted prices for the iPhone X. The most affordable is the $30 2GB Plan that lets you purchase the iPhone X for an upfront fee of only $999. This plan comes with Unlimited national talk and text as well as 2GB full-speed data. This plan also has Mobile Hotspot features and uses T-Mobile’s powerful 4G LTE network. Moving on is the $40 10 GB Plan which offers this unit at a discounted price of $999. This plan has unlimited talk and text and 10 GB full speed data. This also comes with Music Unlimited and works under T-Mobile’s 4G LTE network. Still another Metro PCS plan that you can take advantage of is the $50 Unlimited Plan that will let you purchase the iPhone X for an upfront price of $999. This plan will give you unlimited nationwide talk and text, unlimited data, Google One, and 5GB LTE Mobile Hotspot all under T-Mobile’s 4G LTE network. Metro PCS’ $60 Unlimited Plan offers the iPhone X for only $749 upfront with countless perks. The plan has unlimited nationwide talk and text, unlimited data, Google One + Amazon Prime and 15GB LTE Mobile Hotspot all under T-Mobile’s 4G LTE network. The iPhone 7 Plus offers a larger and more vibrant screen compared to its predecessors which have a 4.7-inch screen size. This means that this phone can give more than what other iPhone models can give. Its stunning 625 nit-bright 3D Touch Retina HD Interface are just some of the features that you will make you love the iPhone 7 Plus. The iPhone 7 Plus comes with extra-powerful dual 12-megapixel cameras with wide-angle and telephoto lens. This camera will let you take photos with richer colors and fantastic details. Every detail and every little flaw will be magnified by this powerful camera. This classic iPhone can take excellent selfies no matter the amount of light there is in a room. You will get amazing selfie results even without adequate amounts of light in the room. And if you are looking for a sharp and powerful camera phone then this is a good model to start. This phone has the most colorful and the most stunning screen. It is large enough to watch movies, music videos and to watch television. This is an ample screen to play mobile games too. You will be able to play games even when you are commuting or on the road because of this phone’s large screen. This mobile phone comes with different ways to connect either wirelessly or by using wires. It supports 3G and 4G networks plus can also connect to different devices via Bluetooth technology. You may also connect to different networks via Wi-Fi. With constant use, most mobile devices can immediately run out of juice. But the iPhone 7 Plus has longer standby times at 384 hours or 16 days. Its built-in lithium-ion battery can give you 1260 3G talk time and 780 minutes browsing time. Metro PCS has an amazing discounted offer for the iPhone 7 Plus. You can purchase the iPhone 7 Plus with a 32 GB capacity for $769 only. But you can’t buy this from Metro PCS’ online site. You need to visit an actual or physical store to purchase this phone. Who may also order the phone from the carrier’s website and get your order from a local Metro PCS store. You need to hurry though because this promo is as good while it lasts. The iPhone 7 is the earliest iPhone that has the IP67-grade splash-proofing. This will protect your phone from splashes and messes which may happen as you regularly use this. It also features the Taptic Engine as a Home button/fingerprint sensor for total safety no matter where you are. It also comes with a 12-megapixel quad-LED-flash camera and 4.7-inch 3D Touch display making its screen as vibrant as ever. The iPhone 7 is Apple’s very first splash-ready (IP67-grade) iPhone and is different from any Android phone that was released on the same year. It comes with a solid-state Taptic Engine Home button (with Touch ID). This iPhone will support 4K video which lets you play games, videos, and movies clearly, seamlessly and perfectly. The iPhone 7 weighs barely 5 ounces but it has the most impressive features. It has longer battery times and connects wirelessly. It comes with loads of apps to help you communicate, enjoy videos and games and to keep to your schedule and daily activities. Apple claims that the iPhone 7 is one of its fastest because of its A10 Fusion chip and M10 motion coprocessor. It comes with 256 GB non-expandable memory that takes in charge of the phone’s storage. The iPhone 7 can help you multitask with apps running at the background, you can do everything else without compromising on speed. One true thing about the iPhone 7 is that it just looks very classy. It will update your style and give you the edge no matter what you wear or where you are. This phone is available from Metro PCS today. 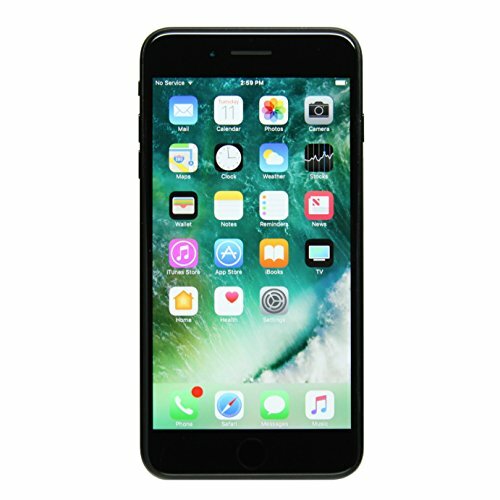 The iPhone 7 is a very popular iPhone model that is available at Metro PCS. The iPhone 7 in black with 32 GB is available for a discounted price of $769. This is more affordable compared to other more popular mobile service networks. Meanwhile, the iPhone 7 in Jet Black is also available at Metro PCS for only $749. 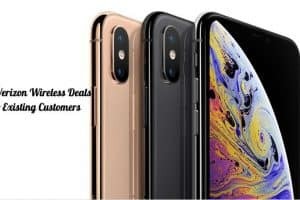 To get these discounted phones, you need to visit a local Metro PCS store because these promos are not available from the carrier’s official website. To make sure that this model is in stock, inquire beforehand. You may also order online and pick your order up from a nearby local Metro PCS store. The Apple iPhone 8 (iPhone 8) retains the iPhone 7’s large and colorful 4.7-inch 1334 x 750 display. This was unexpected and quite a disappointment in people looking for a larger upgrade. It has a new glass exterior by expanding its wireless charging capability to the current-standard Qi chargers and most updated Apple AirPower mat. This wireless charger can charge up to three devices. The iPhone 8 has an all-aluminum unibody with a class-dependent design. This iPhone comes with a 12-megapixel camera with a Quad-LED True Tone Flash with Slow Sync. Capture stunning images and enjoy special camera options including burst mode, photo geotagging, timer mode and tap to focus to name a few. Your phone is protected by a sapphire crystal lens cover making it durable and resistant to scratches and marks. iPhone 8’s awesome 4.7-inch multi-touch screen lets you watch movies in true high definition and check out online videos in a cinch. You can play games in stunning color with faster response time. It has a powerful A11 Bionic chip with the neural engine and reliable M11 motion coprocessor. With the iPhone 8’s longer lasting battery, you can take your device anywhere in a single charge. A single full charge can give you 840 minutes or 14 hours of talk time. It comes with built-in lithium-ion batteries that will also give you up to 720 minutes or 12 hours browsing time and 780 minutes or 13 hours of video playback time. There are four Metro PCS plans for the iPhone 8. The first and the most affordable plan is the $30 2 GB Plan that lets you purchase this phone for only $799 upfront payment. This plan gives you unlimited talk and text plus 2GB of full-speed data. Your plan also comes with Mobile Hotspot using T-Mobile’s 4G LTE network. The Metro PCS $40 10 GB Plan is unlimited nationwide talk and text plus 10 GB of full-speed data. It offers the iPhone 8 for only $799 upfront payment and this also comes with Music Unlimited and uses the T-Mobile’s strong 4G LTE network. The $50 Unlimited Plan gives you the iPhone 8 for only $799 upfront and this plan includes unlimited nationwide talk and text plus unlimited data. You will also get Google One and GB LTE Mobile Hotspot features. All these are under T-Mobile’s 4G LTE network. The plan with the most is the $60 Unlimited Plan that offers unlimited talk and text and unlimited data with Google One + Amazon Prime, 15 GB LTE mobile hotspot with 4G LTE coverage. This plan offers the iPhone 6 for only $549 upfront. The iPhone SE is a step backward when it comes to displaying size. It brings back the 2013 iPhone 5s’s 4-inch screen with 1136 x 640 Retina Display but despite this, it has impressive specs. Just some of its fantastic specs include the iPhone 6s’s A9 64-bit CPU plus an embedded M9 coprocessor. This exclusive feature allows you to work on different tasks with great reliability and precision. For additional security, this iPhone model has the Touch ID fingerprint detector. Other impressive features include a 12-megapixel 4K-video and iSight (1.22um pixels) camera. 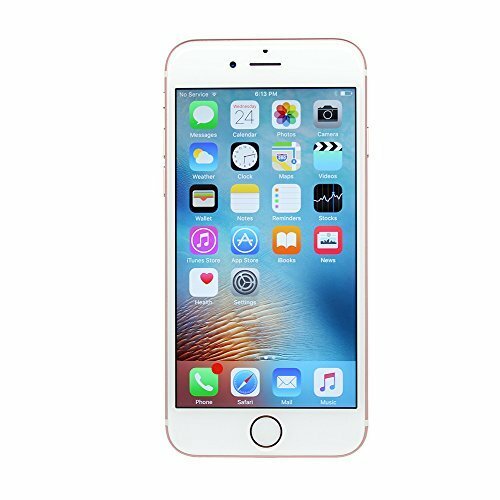 The iPhone SE also has popular Apple features such as Apple Pay and Siri voice assistant software. The iPhone SE may have a small screen but nothing can stop it from taking awesome photos with its 1.2-megapixel FaceTime HD secondary camera. It has tons of camera options too like panorama, burst mode, photo geotagging, continuous autofocus video, video geotagging, playback zoom and more. You will be able to get more out of your iPhone with its improved battery life. It has a 1642mAh battery that will give you 240 hours standby time, 840 minutes 3G talk time and 780 minutes of browsing time. This phone comes in either 64GB or 16GB of non-expandable memory. It is available in Silver, Gold, Space Gray, and Rose Gold. You will be able to find the ideal style and color that will match your needs. 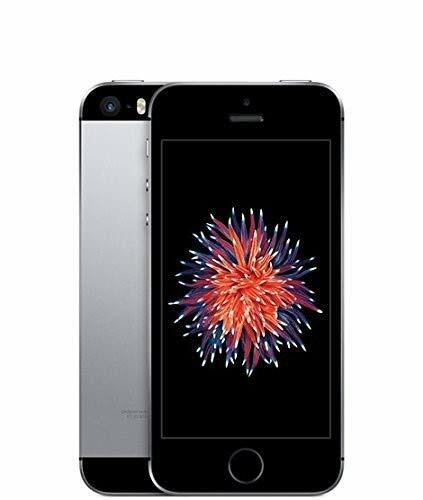 The iPhone SE is currently one of the most affordable iPhone models and with Metro PCS plans, you can get this phone for a much lower price. The Metro PCS $30 2GB Plan is the basic plan from the carrier and through this, you can get the iPhone X for a discounted price of $399 upfront payment. This plan gives you unlimited talk and text and 2GB full-speed data. It also has free Mobile Hotspot with 4G LTE coverage. The $40 10 GB Plan also has the iPhone X for a discounted price of $399 upfront. This is slightly better than the $30 plan because it has 10 GB full speed data. You also get unlimited nationwide talk and text plus Music Unlimited and 4G LTE coverage. The $50 Unlimited Plan is another Metro PCS plan that offers the iPhone SE but this time, there are no upfront fees as long as you purchase these in store. You will get unlimited national call and text, unlimited data, Google One, 4GB LTE Mobile Hotspot, and 4G LTE coverage thanks to T-Mobile. Finally, the $60 Unlimited Plan is the most when it comes to getting the iPhone SE. You don’t need to pay for any upfront fees as long as you purchase this from a Metro PCS store. This plan comes with unlimited talk, text and data and features like Google One and Amazon Prime, 15GB LTE Mobile Hotspot and 4G LTE coverage. Samsung Galaxy J has the 2015 J3. This may be an older-style Samsung smartphone but no doubt that it was a hit back in the days. It has a larger Super AMOLED screen at 5-inch HD maintaining its siblings’ mass-tier orientation features. It has a longer-lasting battery that will let you have longer talk time hours as well as stand-by times. This is one of the old Galaxy models with larger memory capacities and already comes with a host of standard Samsung suites. This screen is a 5-inch Super AMOLED HD (1280 x 720) display. This vibrant screen lets you watch high definition movies and videos with stunning detail. Aside from this, you can also play mobile games in fantastic detail, with awesome sound effects. This Samsung Galaxy model has a 1.2GHz quad-core CPU (1.5GB RAM) with 8GB available memory that is expandable up to 128 GB. Its Lithium-ion battery lets you get more out of your device by giving you 330 hours standby time (higher standby times than latest iPhone models) and longer talk times as well with its 2600mAh battery. This Samsung Galaxy model comes in all the fantastic colors including jet black, white, and gold. The body is sleek and it weighs a mere 135 grams. Definitely, this flashback iPhone model can still amp up your style no matter what you wear. There are four Metro PCS plans to help you get the Samsung J3 phone. The first plan is the Metro PCS $30 2GB Plan that lets you pay for the Samsung J3 for only $139 upfront payment. It gives you unlimited nationwide talk and text plus 2GB full-speed data. You will also get Mobile Hotspot and 4G LTE coverage. This is an in-store plan so visit your local Metro PCS store. Still, another plan is the $40 10 GB Plan that lets you take home the Samsung J3 for a discounted price of $139 upfront. As part of the plan, you will get unlimited talk and text plus 10 GB of full-speed data. It also comes with Music Unlimited and 4G LTE coverage under the T-Mobile network. The $50 Unlimited Plan offers the Samsung J3 for free as long as you purchase this plan from the store. This plan offers unlimited national calls and texts, unlimited data and more. It comes with Google One + Amazon Prime, 15 GB LTE Mobile Hotspot and 4G LTE coverage. Finally, the $60 Plan offers the most savings. You don’t need to pay for anything to get the Samsung J3. All you need to do is to take this monthly plan in store. This plan includes unlimited talk and texts as well as data. It also has Google One and Amazon Prime, 15GB LTE Mobile Hotspot and is powered by T-Mobile’s 4G LTE coverage. LG is known for its stylish and feature-packed phones. The LG Stylus 3 also known as the LG Stylo 3 comes with interesting features. The most important thing to note is its 2TB memory card support. Upon its release, this was the highest external memory allowance in the smartphone industry. What can you do with all this memory? Your phone can perform faster, run more apps in the background faster and allow you to multitask more efficiently as well. It is known as the Stylus 3 simply because it comes with a signature Stylus Pen. This pen has become a big selling point for phablet users because you can use this smartphone to create designs and work on different creative projects with ease. The Stylus pen may be sold individually to be used on other Samsung Stylus and other models. The LG Stylus 3 comes with a high-class 1.5GHz octa-core CPU with 3GB of RAM. At this rate, your phone can be used for a multitude of tasks. You can watch movies, play games and create all kinds of designs as your phone does a number of background tasks with ease. Despite settling for an HD-only (1280 x 720) screen resolution, the Stylus 3 looks sleek yet fun and exciting. You can use this to watch movies, play games and check out stunning images with your phone. Metro PCS has the LG Stylus 3 at a very affordable price. 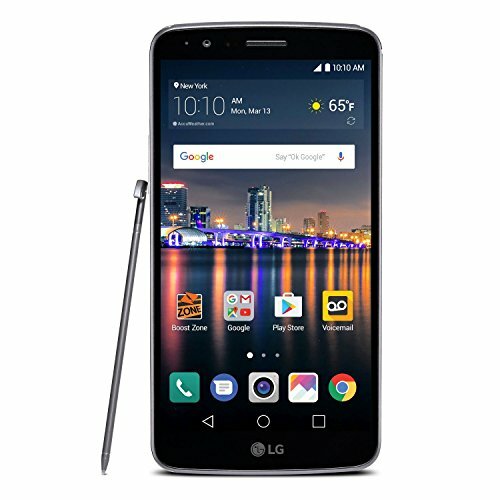 In the market, the price of the Stylus 3 is at $239 but in Metro PCS’ official website, this LG model is only $179. This is a huge discount but you cannot purchase this from the Metro PCS website. You can only get this discounted LG Stylus 3 from a Metro PCS store near you. So you must hurry because this deal is as good as the supplies last. The 2015 version of Apple’s iPhone is the iPhone 6S together with the 6S Plus. This is a slightly-thicker at 7.1mm, 4.7-inch. It has 3D Touch pressure-sensing technology that was also seen in other Apple products in its smartphone collection. This iPhone does not have the 8-megapixel Full HD cameras found on previous four iPhones. It has a 12-megapixel 4K cam, with a selfie camera with 5 megapixels and a stunning frontal flash. The camera comes with special options like live photos, burst mode, timer mode, time lapse, auto image stabilization, face/smile detection. This iPhone model offers longer battery life with 240 hours of standby time, 840 minutes talk time and longer browsing times. You can take this phone anywhere and use it long after a single full charge. Another key feature is the A9 processor. This is a chip that is a more version of the previous A8 chip that’s behind the iPhone 6. The 6S also has the 2nd-generation TouchID fingerprint scanner which of course adds to one of its security features. In addition to the Space Gray, Silver, and Gold case options, the iPhone 6S offers a Rose Gold color which experts say, ties up its premium-tier spec sheet. There are currently four Metro PCS plans that offer the iPhone 6s model for a discounted price. The most affordable one is the $30 2GB Plan which will let you purchase this phone for only $549 upfront. This plan comes with unlimited nationwide talk and text but only has 2GB full-speed data. It also comes Mobile Hotspot features plus 4G LTE coverage. The $40 10 GB Plan also offers the iPhone 6s for only $549 upfront with unlimited talk and text plus a better data plan at 10 GB. It also comes with Music Unlimited with 4G LTE coverage as well. 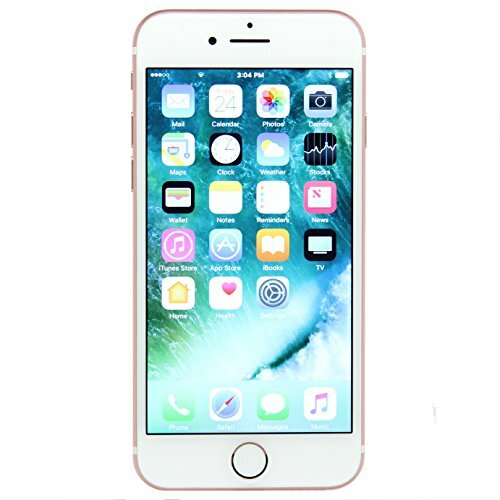 Another plan that offers the iPhone 6s is the $50 Unlimited Plan which requires no upfront payments for the iPhone 6s. This plan comes with unlimited nationwide talk and text, unlimited data, Google One, 5GB LTE Mobile Hotspot and 4G LTE coverage under T-Mobile. Finally, the $60 Unlimited Plan lets you get the iPhone 6s for free. It comes with unlimited data, talk and text plus Google One + Amazon Prime, 15 GB LTE Mobile Hotspot and 4G LTE coverage. The Galaxy J family keeps getting better and better. No wonder these phones are a part of Metro PCS for its top phones and plan this year. The Samsung Galaxy J7 Prime comes with a 1.6GHz octa-core CPU so expect faster performance and good specs when used. The Galaxy J7 Prime replaces the original J7’s with their 5.5-inch HD display with Full HD resolution and Gorilla Glass 4 protection. No doubt that you will admire this phone’s amazing display that you can use to watch movies, check out videos and even to play colorful and vibrant mobile games. A livelier and bigger screen means better enjoyment and improved usability as well. This comes with 3GB of RAM (instead of just 2GB). With this memory, your phone can perform background tasks and will still be able to let you watch movies or play games. This phone still has expandable memory to cater to your many needs. What’s even better with the Samsung Galaxy J7 Prime is that it lets you work and play longer without worrying about losing battery power. Its 3300mAh battery gives you more time to talk to the phone, text, browse the web, watch videos or play games. A single charge can give you hours upon hours of great fun. Several recognizable high-end specs are also a part of this Galaxy model. It comes with a fingerprint scanner for added security and a 13-megapixel f/1.9 main camera and an 8-megapixel selfie camera. With top camera features and modes, you can capture vibrant photos and videos like a pro. 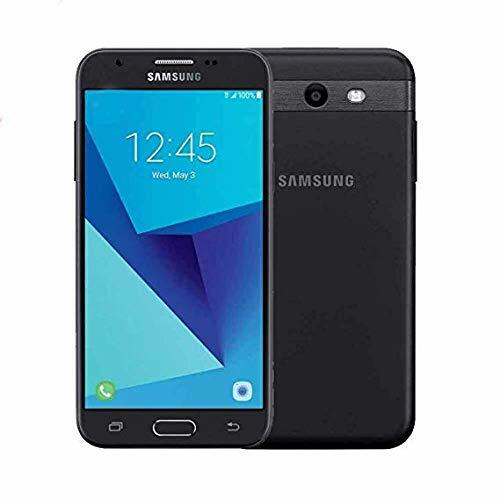 You can get the Samsung Galaxy J7 Prime from 4 Metro PCS plans. The first plan is the affordable $30 2GB Plan which will ask for a $209 upfront fee for the phone. This plan has unlimited nationwide talk and text with 2GB full-speed data. You will also get free Mobile Hotspot plus 4G LTE coverage. The $40 10 GB Plan will give you the J7 Prime for only $209 upfront and this plan comes with unlimited talk and text plus 10 GB data. You will also get Music Unlimited with 4G LTE coverage with your subscription. Another plan that offers the Samsung 6s is the $50 Unlimited Plan but this time, you don’t have to pay for anything. This plan comes with unlimited nationwide talk and text, unlimited data, Google One, 5GB LTE Mobile Hotspot and of course 4G LTE coverage. 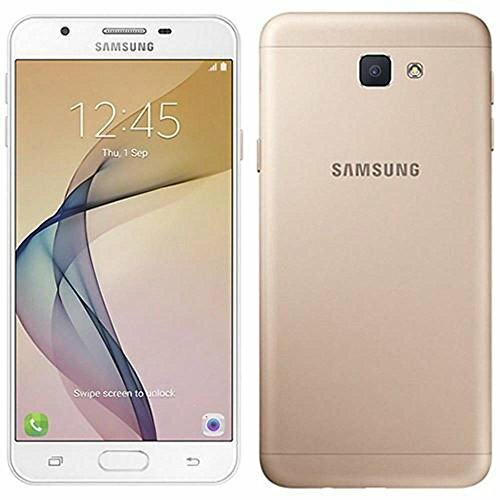 The $60 Unlimited Plan also gives away the Samsung Galaxy J7 Prime for free. This plan is the most with unlimited data, talk, and text plus Google One + Amazon Prime, 15 GB LTE Mobile Hotspot and is powered by T-Mobile’s 4G LTE network. To find out the right kind of phone plan to suit your needs, you must consider a few important factors. What do you always do with your mobile phone? One of the most important things to consider is your actual phone use or activity. This varies from one user to another considering that people do different things, have different priorities and may come from different places and cultures. You need a phone that can connect to the web fast, a phone that will let you Skype, check your email and merge your calendar with your schedule. You need a phone that will take videos, photos and do FaceTime. Anything that will connect you to your peers, colleagues, and managers as you commute because you just can’t spare a moment’s leave from work. If you are a student then you may need a phone that would do well with calling and texting and of course, would also fare well with browsing the web especially checking out social media. Yes, there are phones with built-in apps for social media use like Facebook, Twitter, and YouTube. You won’t have to feel left out at all when you have this type of phone. You also need a phone with a good camera and a selfie camera so you can take cool shots and take videos no matter where you are and upload these once you are done. So take note of the phone’s full range of specs and see if it adds to your needs. Don’t need to settle for the first phone you see. There are hundreds of phone models to choose from so choose wisely. Phone plans are very affordable from Metro PCS and another way you can save on your bills is to take more lines. If you live with your family then you can take also subscribe to more phone lines under your Metro PCS subscription. So be very specific about how many phone lines you need so you can take advantage of these good savings. This is definitely a good thing to consider. How much are you willing to pay for a phone plan? 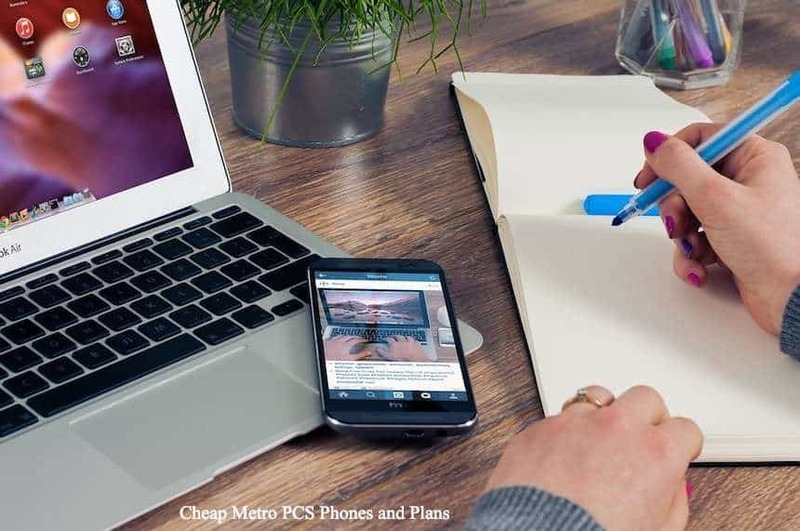 If you are on a tight budget then you can start with Metro PCS’ $40 high-speed unlimited plan with 10GB. This plan is the most affordable with features that you REALLY need. But the best thing about having this plan is you don’t have to deal with surprises when you receive your bill. As much as possible, you must stick with a phone plan that will give you more out of your money. If possible, use a customizable plan to have features that you need and features that you are willing to pay for. Do you have a specific phone model in mind? As you may have known by now, Metro PCS has the latest as well as the basic smartphone models. Here, you will be able to choose from a large variety of smartphones to choose from. From the latest iPhone X to the most updated Samsung Galaxy phones, you will surely find the one that you have always wanted to own.